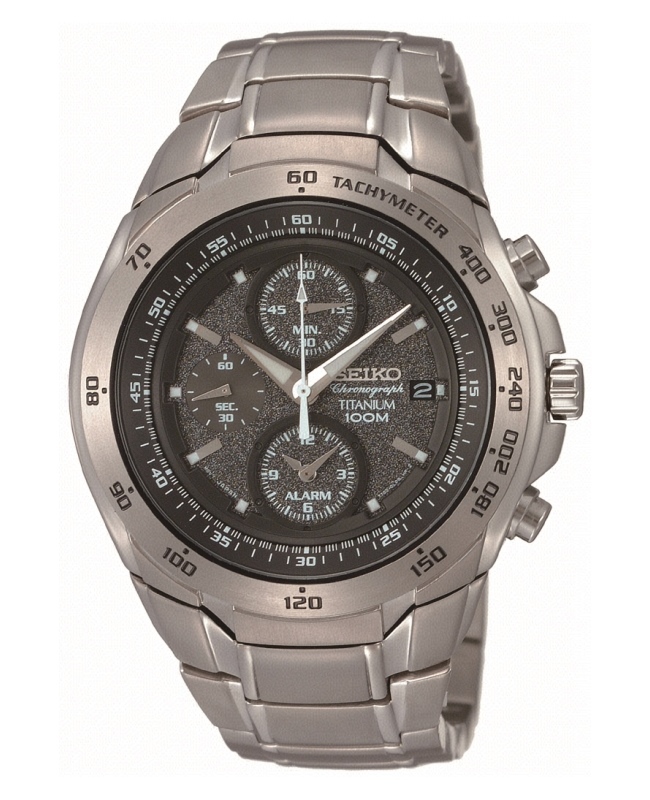 Hello, today we’re taking a look at 9 of the most popular titanium watches by Seiko. With prices varying between £100 – £250 these as still considered somewhat affordable. 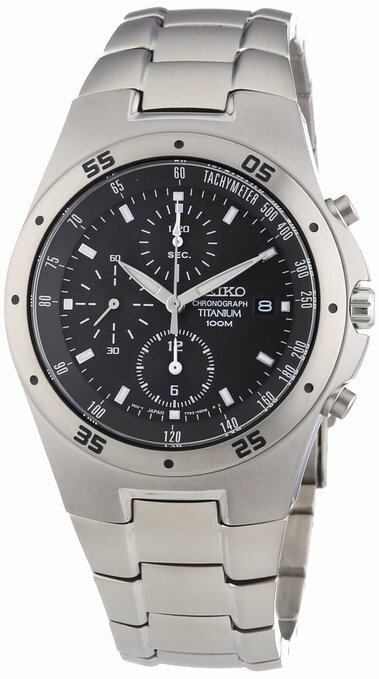 Seiko creates some very high quality watches and I wanted to see what they achieved when it came to using titanium. So why is titanium such a good material for watch making? Titanium is stronger yet lighter than traditional stainless steel which makes it ideal for use in watches. It’s also much more suitable for people who have allergies to other metals. It does however often come at an extra cost as it’s more expensive than stainless steel. Anyway, enjoy taking a look through below, you can simply skim through and see what you like, or read the details below each model. If you want to see an up to date price just click on the image to follow the link to the sales page, prices update so often so there isn’t much point me posting them. 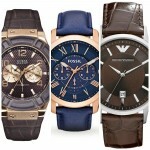 Why not check out more of our top men’s watches. Featuring a titanium build with a sapphire glass front and Japanese quartz movement this watch has everything you’d want from a day to day timepiece. It has a smaller diameter than more common watches these days with a 38mm diameter. The luminous markers also make it much easier to read in dim lit conditions. 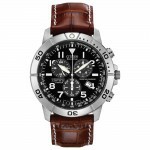 With a chronograph and alarm function, this model is a bit more feature-rich than the previous watch. It uses a Japanese quartz movement and hardlex crystal for scratch protection. It’s also larger than the previous watch, this watch has a diameter of 44mm, a much more popular size these days. 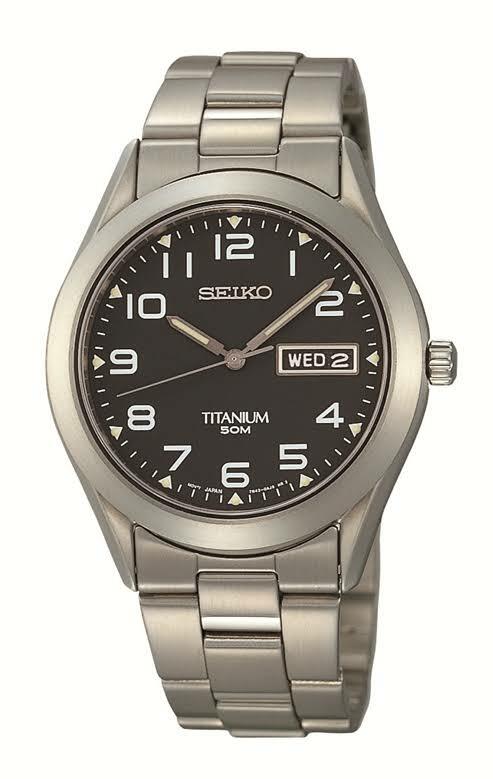 A chunky men’s Seiko Titanium Kinetic watch in stainless steel, set around a black dial with baton hour markers and date function. The Kinetic movement means no batteries are required as the watch powers itself via the movement of your wrist. Like the previous model, this watch also features luminous markers. Another classic style design from Seiko. Again featuring a chronograph Japanese movement and Seiko’s hardlex crystal. It’s another large watch with a 45mm diameter and 10mm thickness. Personally, I’m not too sure about the strap design on this model. 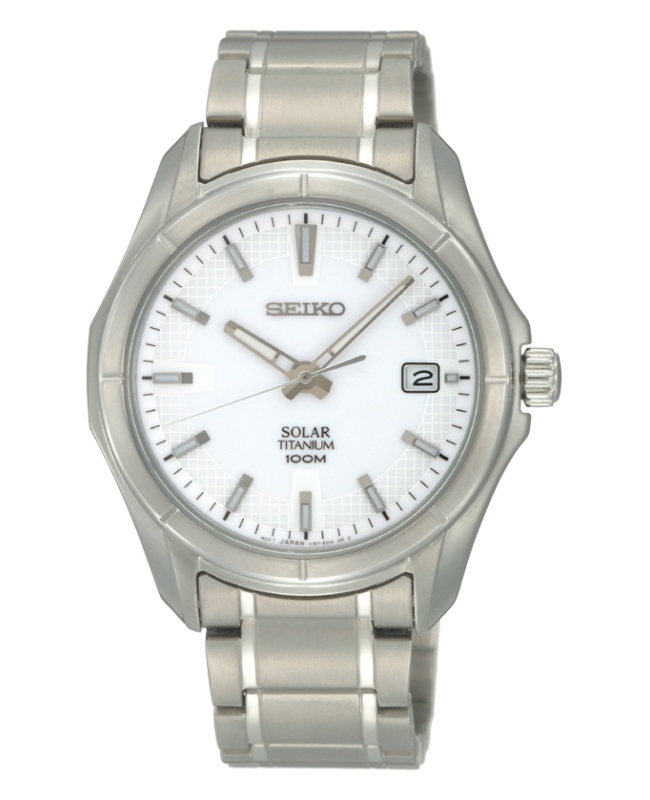 This is a stylish men’s Seiko Solar Titanium model, set around a white dial with date function and baton hour markers. I love the solar powered movement, using light instead of a battery is great for the environment. 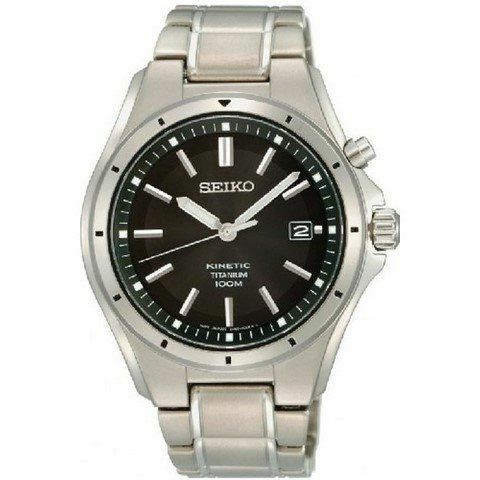 Striking men’s Seiko watch in Titanium, set around a sleek black dial with high-visibility numeral hour markers, plus day and date functions. Further features include Japanese Quartz movement, a chunky bracelet and a push-button clasp. 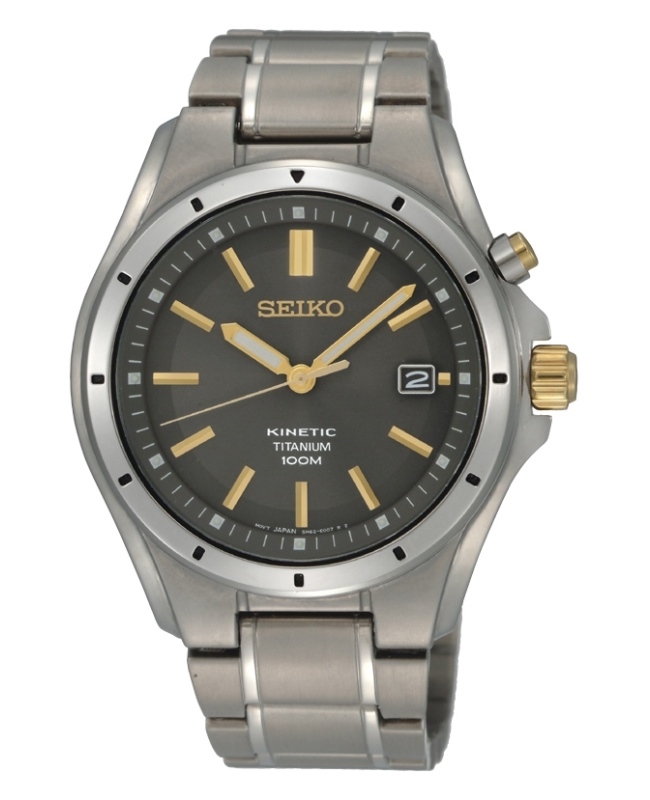 This classic mens Seiko watch is made from Titanium with a PVD coating and powered by a Kinetic movement. The watch is set around an elegant grey colour dial with high-visibility baton hour markers, high-visibility hands and a date function. It is 100m water resistant and fastens with a two-tone titanium and PVD coated bracelet. 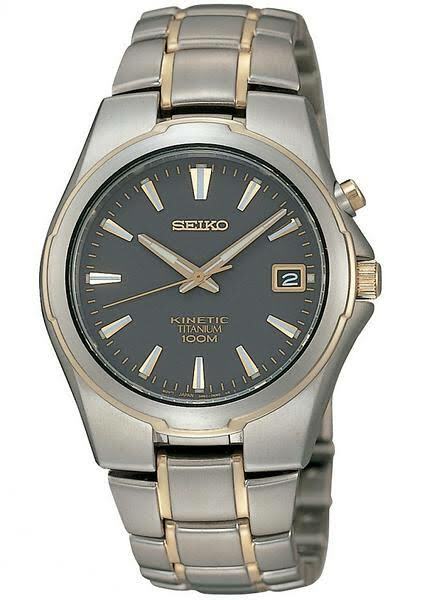 A chunky men’s Titanium Kinetic design by Seiko. This watch is set around a dark grey dial with gold baton hour markers, high-visibility hands and a date function. The case and bracelet are entirely Titanium, so incredibly light as well as hypo-allergenic. 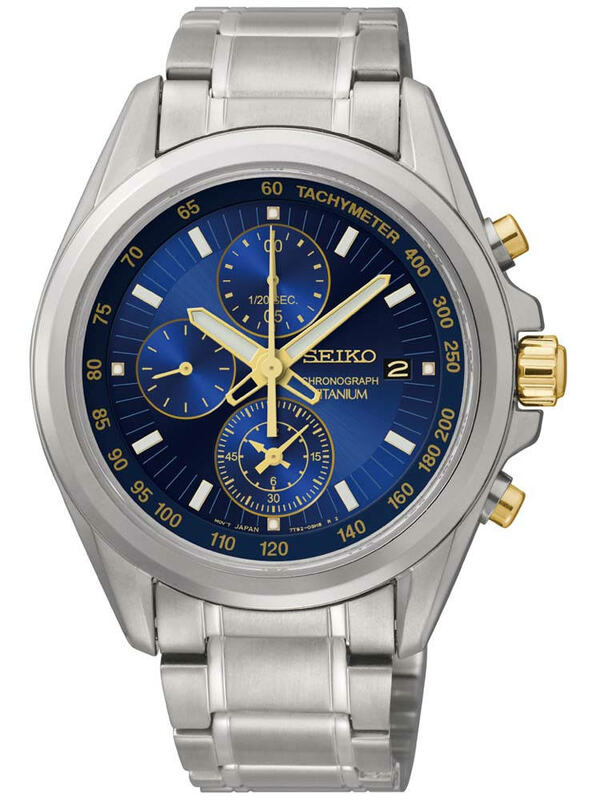 This titanium Seiko watch is particularly stunning with its blue dial and gold detailing, this sets it apart quite a bit from the other watches on our list. 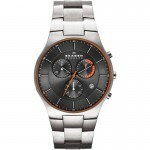 It features luminous markers, a stop watch chronograph function, and of course a Quartz movement. 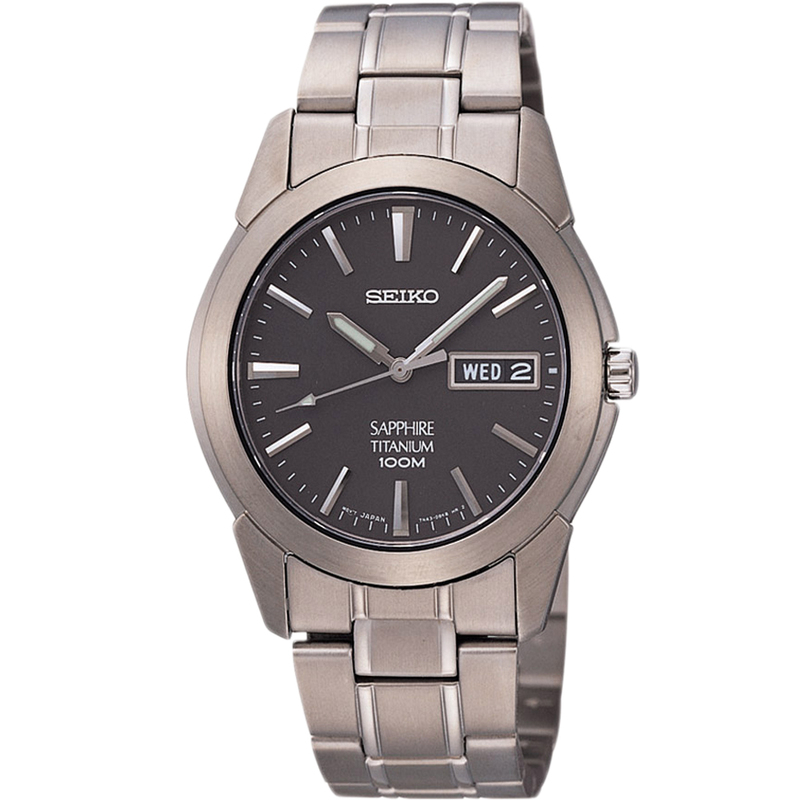 What did you think of our top 9 Seiko titanium watches? My favourite in today’s list would be watch number one. I like the simple yet smart design and its use of sapphire glass on the front which offers exceptional protection from scratching. 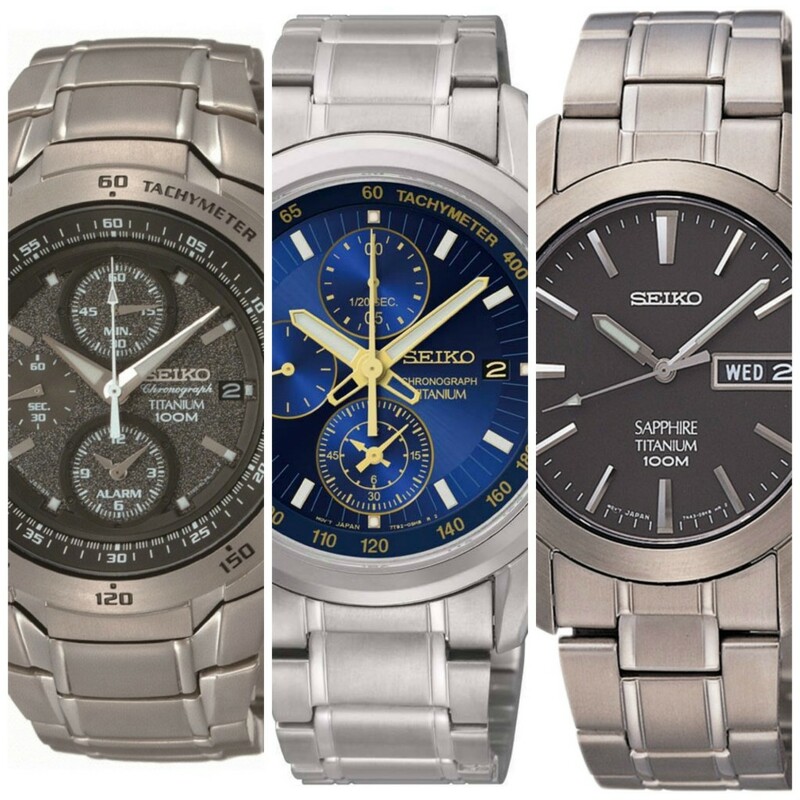 Why not check out more popular Seiko watches next? What was your favourite though? Make sure you leave a comment below and let me know. Hope you enjoyed this top 9 titanium Seiko watches list, read more of our most recommended articles below.